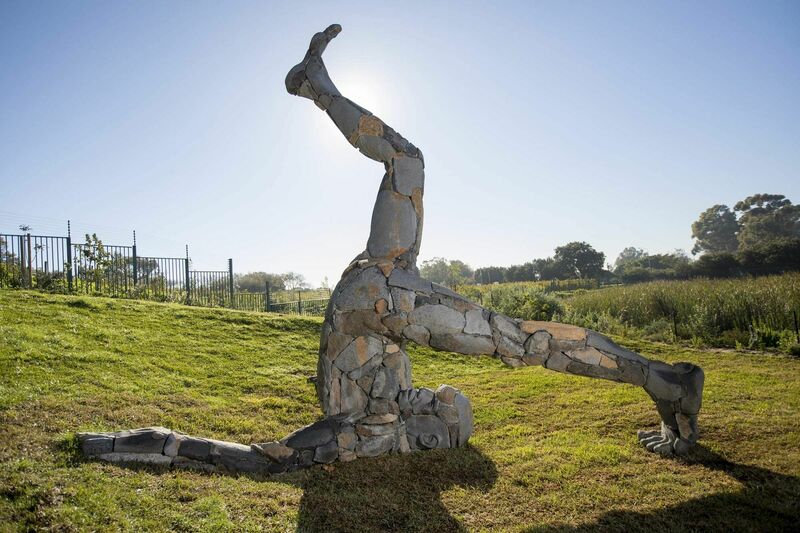 Known for his powerful sculptures, South African artist Angus Taylor is currently working on "Holderstebolder", a work that shows a man upside down, to depict art devoid of agenda in his visual parlance. Taylor's first work in India, "Holderstebolder" is installed at a commercial building here. If one would critically look at art installed in the public sphere, say "a hero on a horse, or a Jesus on a cross", one will find that most of it is "propaganda for state or church and serving an ideology or set of belief systems", the Johannesburg-born artist told reporters. For him, each time someone erects a monument, it should be questioned for its integrated meaning and concepts. "Holderstebolder" is exemplary of his "anti-monument" work, which automatically translates to "being anti-dogmatic, questioning what we are presented with and living examined lives". The widely-commissioned sculptor strips his monumental piece of any agenda is by turning his subject upside down. "If I were to translate 'holderstebolder' (Afrikaans) into a local language, I would use putha' (Punjabi for upside-down). It is to invert, turn something on its head, and in this case, the monument," the 49-year-old Taylor said. He terms his way of creation as the multi-method pragmatic approach, a way of making use of almost all ways of making sculpture - modelling in clay, welding a steel mould, carving stone and constructing with individually-altered rocks before casting and solidifying the insides with concrete. All these processes are combined to achieve a coherent final result. 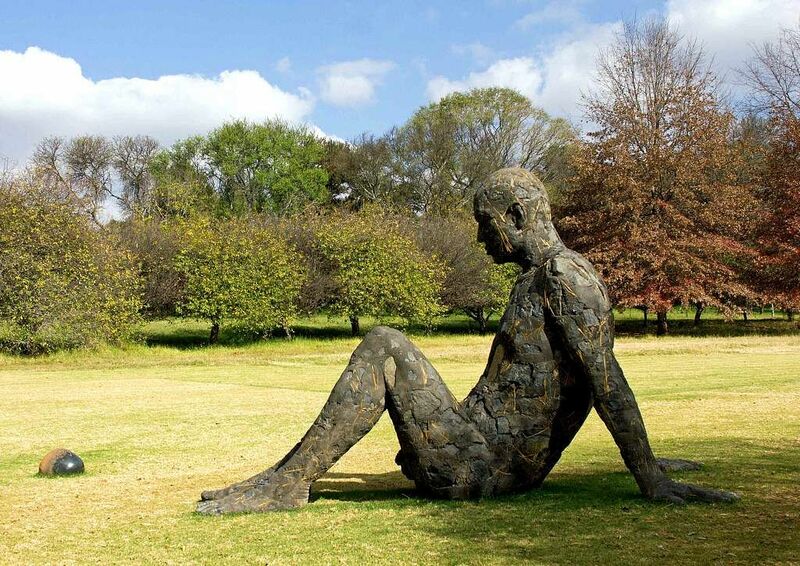 The six-metre-plus sculpture is made from individual stones, as compared to sculpting out from a larger stone. "It is made by respecting the individual stones for what they were before, slightly altering them and constructing one 'idea', namely the figure, from the vast collective," he said. What completes the circle for Taylor is the viewer's meaning or interpretation of his work. "To give a single meaning or interpretation of the work might limit the possible interpretations by the viewers. I can only give my thoughts that went into it. The sculpture should remain open ended because what the viewer takes and thinks completes the circle." "Holderstebolder", which he says is in sync with the philosophy of Max Estates' philosophy of "work well", is currently being prepared for public viewing at the Max Towers here.